Watch out weather, you can't rain on our parade this time. 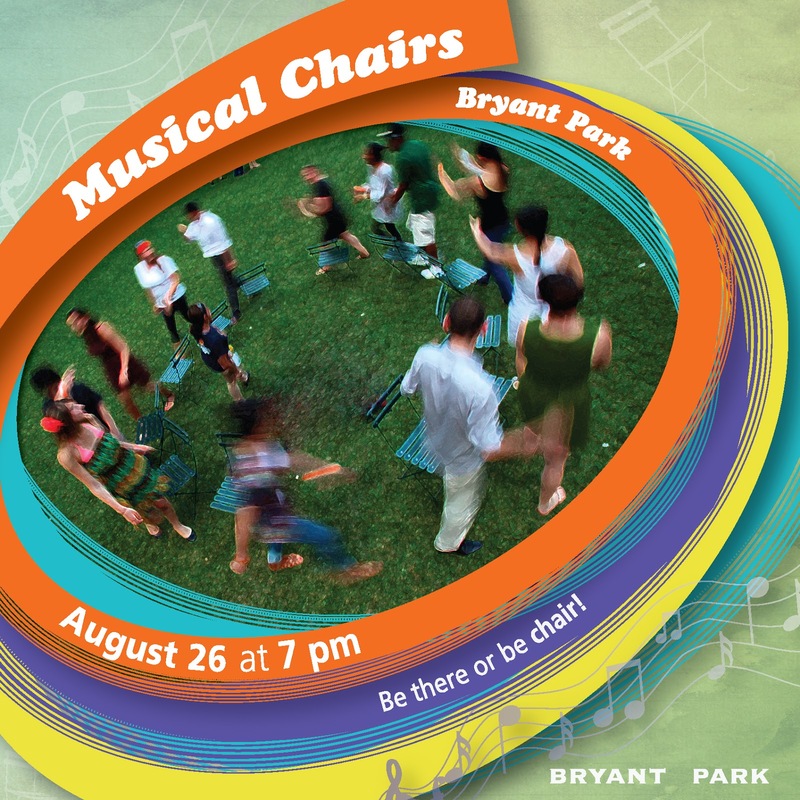 Back in June, the original Musical Chairs date was rained out, and then our rescheduled rain date was rained out. Let's just say we've had a rainy summer. Musical Chairs fans, we heard you, and we didn't want to miss this either. We've rescheduled the big event for the end of August. We hope you'll join us on Monday, August 26 at 7pm. This time comedian Tom Shillue will host the chair-grabbing fun with stop and go tunes provided by DJ Stewey Decimal. 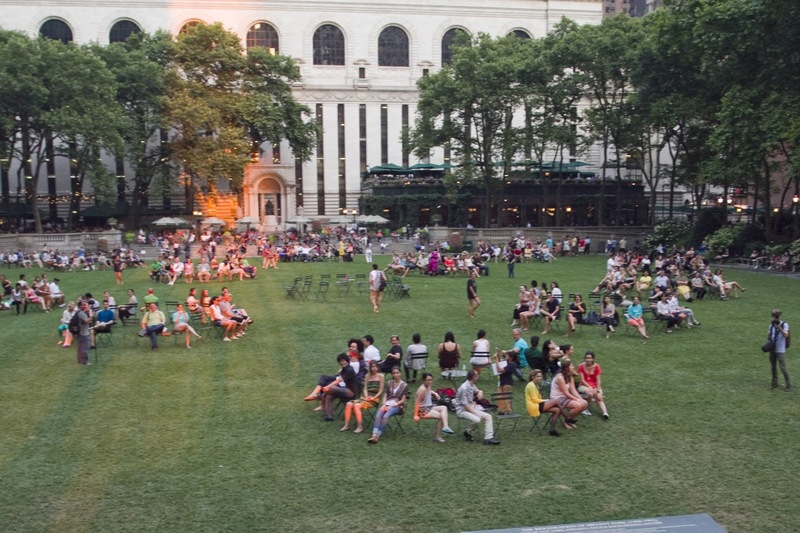 We hope you can keep up, because the grand prize winner will take home a pair of tickets from Southwest Airlines and an iconic Bryant Park Chair! There are plenty more goodies to go around, so you better stay on your toes. The first 500 contestants to arrive will get Bryant Park Musical Chairs T-Shirts (while supplies last), the finalists who advance to the Winner's Circle will each get a 'Meet Me on the Lawn' Film Festival Blanket, and the overall runner-up will win a $100 gift certificate to the Bryant Park Grill. The night will be filled with fun and prizes to be sure. So register now! If you were registered for one of the previous dates, please take a moment to re-register, so we can confirm your availability. Registration is required. For safety reasons, you must be 18-years of age or older to participate. Be there or be chair!